My sister and her family welcomed baby Matthew in December. He joins his big brother, David, who is proving to be such a loving and caring helper. 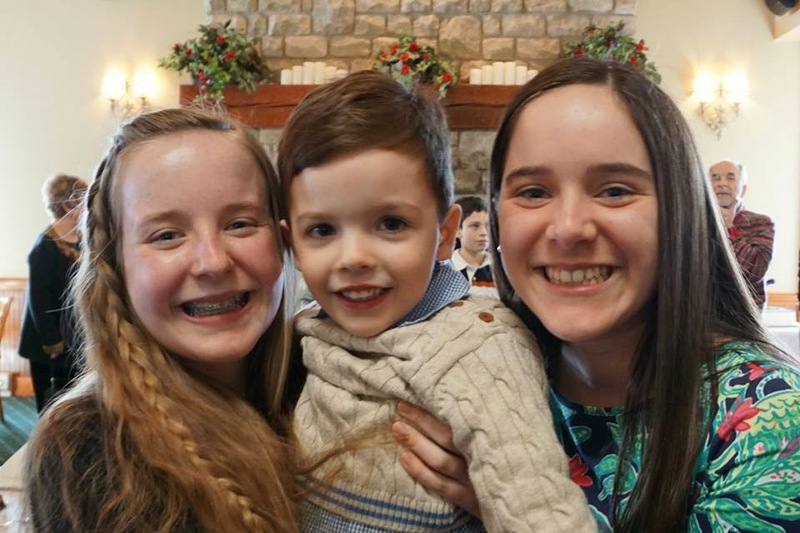 Since sweet Matthew is adopted, my mother and I planned a celebration to welcome him to the family and to allow all of our relatives to meet him in person. 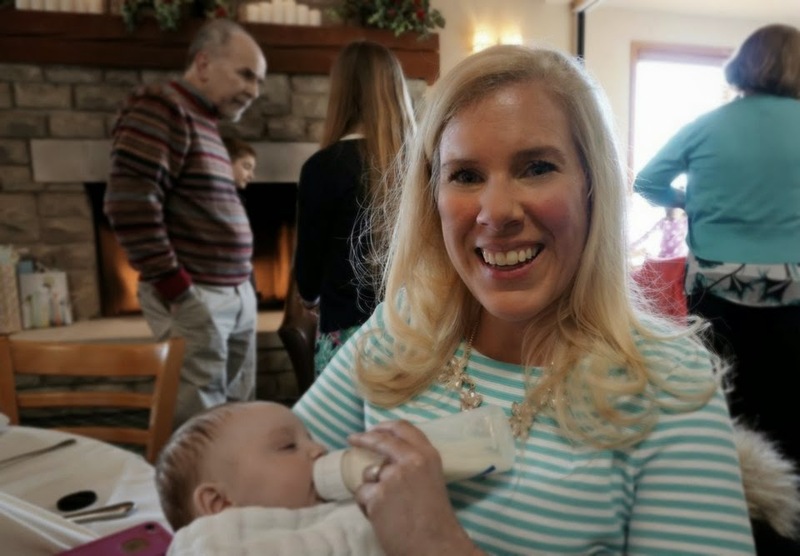 Guests enjoyed lunch at the restaurant at a local golf course and everyone held and loved the baby. All babies are adorable, but I think that this one is particularly precious. I fed him several times and enjoyed spending time with a baby. My nana, aunts, uncles, and cousins joined friends to celebrate Matthew. Many relatives came from out of state to join the party. After lunch, everyone ate blueberry filled cake and personalized cookies that matched the blue elephant theme. The little candy treats and monogrammed tag were also a huge hit. Natalia and Alexia played with their cousin for hours! They always have so much fun. This time, the favorite game was the claw machine that the girls have in their room. David had never seen a claw machine, but instantly became a huge fan. I think that my sister and her husband are going to have to try their hand at the claw machine in the near future. Both of my girls and I wore Lilly Pulitzer to the party. Natalia wore the Tate Skirt with a white t-shirt and navy cardigan and Alexia wore the Marlowe Boatneck T-Shirt dress. The Charlene Knit Shift Dress in the Shorely Blue Ottoman Stripe perfectly complemented the party theme. I wore my regular size in this (I'm wearing a small) but do find the dress to be a bit shorter than other Charlene dresses from other seasons. The stretchy knit fabric is substantial and very forgiving to my less than perfect figure.